Set along the Tisno coastline, Apartments Frog presents self-catering accommodation with breathtaking sea views and gratis wireless internet access. 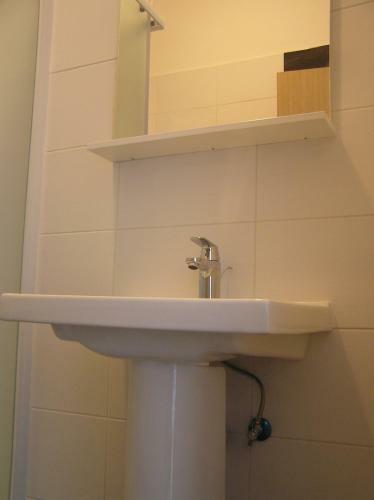 The apartments also feature modern decor. The air-cooled apartments all come with a fully-equipped kitchenette. 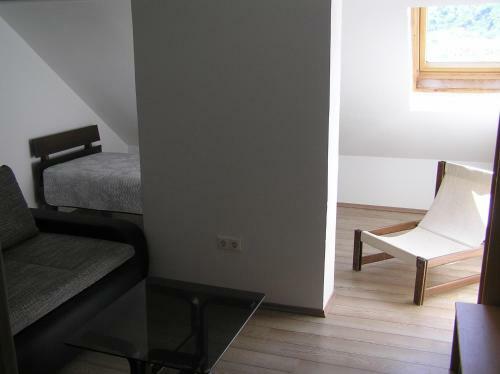 They also include an open-plan dining and lounge area with satellite television. The building comes with a berth where visitors can dock a boat. 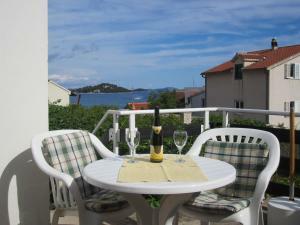 Frog Apartments is easily situated within a 5-minute walk of the closest beach and Tisno's city centre. 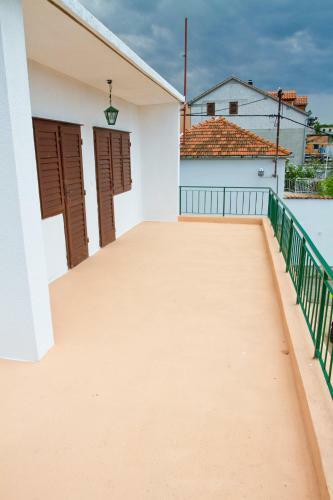 Apartment Tisno Residence ~0,1 km, Tisno Situated 200 metres from the beach, Apartment Tisno Residence is in the real heart of Tisno. 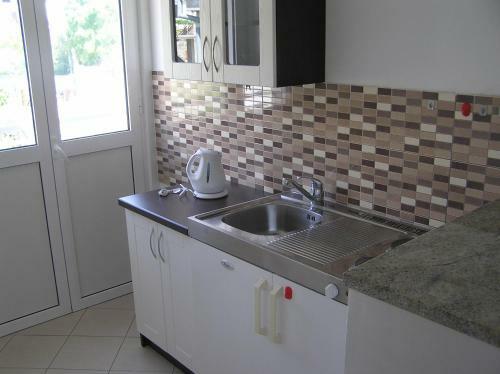 Dishes can be prepared in the fully equipped kitchen which presents an oven and a refrigerator. There are coffee shops and eating places within a 15-minute walk of the property. Explore Jazera, which features eye-catching waterfalls and beaches, just 3 km from the bed and breakfast, or check out the Ivinj Archeological Site, where Saint Martin’s Church can be found, just 4 km from the property. Betina ( ~ 5.2 km ): 102+ apartments. Beach Jazine, Tisno ~ 0,6 km from Apartments Frog Gravel beach: ideal for families, recommended for young people, with restaurant, with caffe bar, equipped with showers. Excellent choice of watersports. Beach Sv. 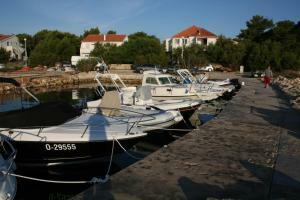 Andrija, Tisno ~ 0,7 km from Apartments Frog Rocky beach. Nudism is allowed. Beach Lovisca, Jezera ~ 1,4 km from Apartments Frog Gravel beach: ideal for families, recommended for young people, with restaurant, with caffe bar, equipped with showers. Excellent choice of watersports. Beach Lucica, Jezera ~ 1,9 km from Apartments Frog Gravel beach: ideal for families, with restaurant, with caffe bar, equipped with showers. Excellent choice of watersports. Beach Plitka Vala, Betina ~ 2,5 km from Apartments Frog Sandy beach: ideal for families, with restaurant, with caffe bar, equipped with showers. Excellent choice of watersports.